Team building events are key when it comes to motivating a team. And no matter what season it is, indoor team building activities always go down well with a team. It provides your team with the chance to get to know each other more which leads to them working cohesively. Whether your team are foodies or you are looking for the perfect after work treat. Pizza Making will be great. To start off you will be able to enjoy some dough balls and nibbles and then you will be able to put your chef hats on! Why Team Building in Leeds? You will learn everything, from tossing the dough to creating your very own pizza! On your table you will find a never ending supply of all the freshest ingredients to add to make your perfect pizza. And once you are done you can sit back relax and wait for the chef to cook your creations – and then it’s time to eat! The perfect team building event for any type of team, whether you are all of similar age and you are after a throwback. Or your team has a mixture of all different ages and you just fancy getting involved in some classics. From Bullseye to Catchphrase, you and your team will be able to go head to head with these gameshows in the Retro Showdown! Why Team Building in Birmingham? You will find a selection of games that may be included on the day like Wheel of Fortune, Generation Game, Bullseye, Catchphrase and many more. Great for adding that bit of competition into your team to lighten up the mood and spirit of everyone for back in work! And if just going head to head wasn’t enough competition, the winning teams will be rewarded with some “fun money” – the team with the most will enter the Million Dollar Drop! Whether you have had some new starters in your team or you just feel like everybody needs to connect more. 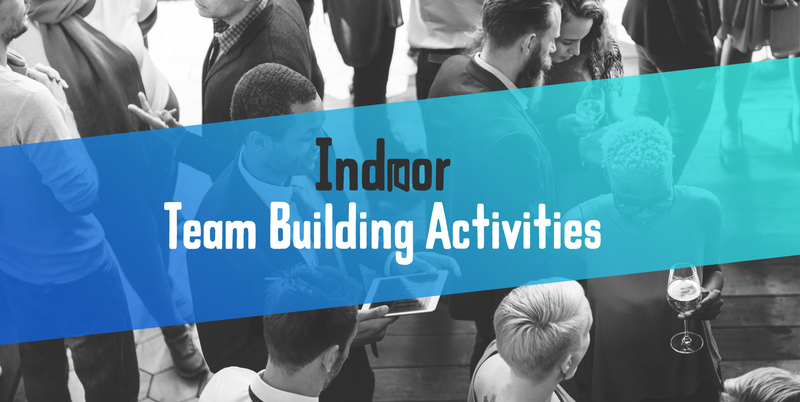 The Chain Reaction activity will be the perfect icebreaker – it is created to bring team spirit into the workplace! This event will have your team using their creative and problem solving skills as they build the ultimate chain reaction. Why Team Building in Manchester? The overall aim of this event is this – your team will be split up into smaller teams and work together to build a colour coded contraption. This contraption will then need to interlink into the other teams to build the ultimate chain reaction. There will also be clues and challenges thrown into the event along the way that you will need to complete to be successful! Test your team in the Challenge 100 team building event. It’s set out to test mental agility, intelligence and common sense. As well as challenging everybody individually it will test your team as a whole – especially how they work under pressure. This whole event is about choosing tasks wisely, discussing tactics with your team and racing against the clock! Why Team Building in London? Each task is worth different points and each team has a red box and a booklet. The booklet shows all the challenges to complete and the red box has all the tools you may need. The clock is projected onto a screen so that everybody is reminded of the time as well as the team scores. This is the ultimate test to see how well your team works together. Escape Rooms is a classic team event that will have your team working together to solve puzzles and clues. It is a fun and effective experience that everybody will enjoy but the real question is will your team escape or stay trapped? On arrival you will be given the background story and everything you need to know for the game. Depending on your team size will depend on whether you will be split up into different teams – each team will be presented with a different room. You will be locked in your room with a 60-minute countdown where you and your team will have to search the room for clues and puzzles which will help towards your escape!